When you walk through the front door, you're greeted by beautiful hardwood floors, stunningly high ceilings and plenty of natural light from all of the windows. The white walls help the home feel even larger. 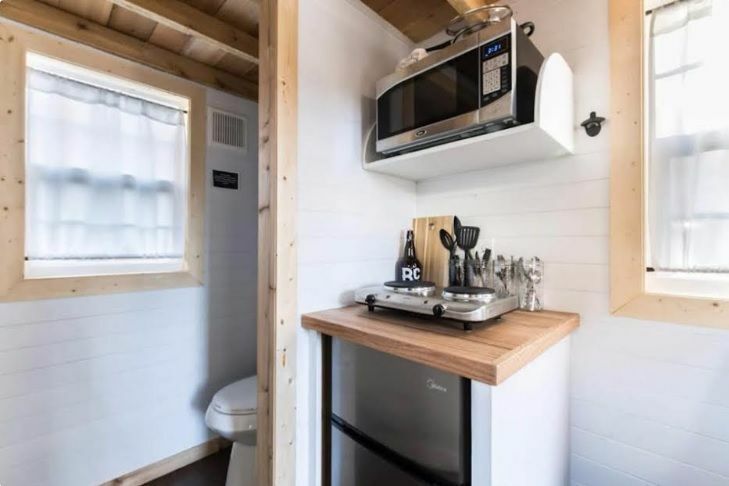 Just off the main entry, a small kitchen is tucked in the corner. 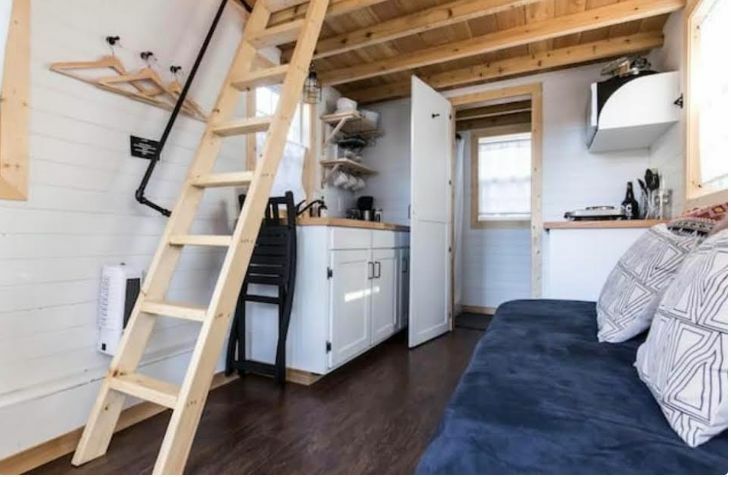 The ladder to the loft can be tucked away for more visiting room, and the living area is big enough for a full-sized couch. 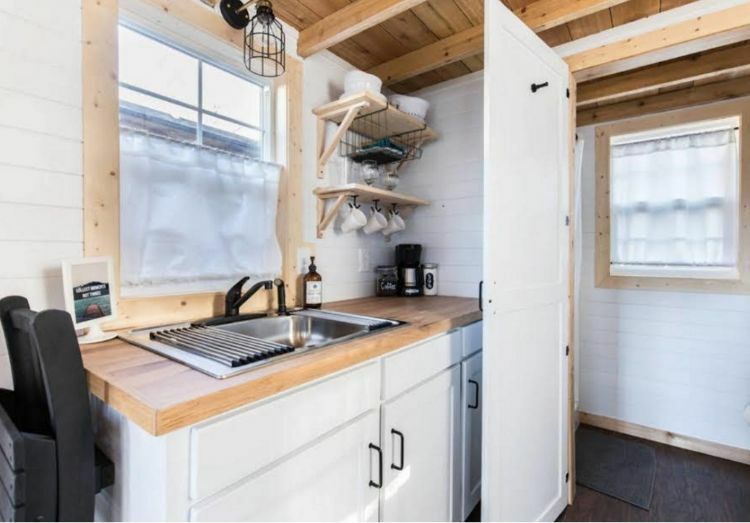 The kitchen includes plenty of counter space, a small sink and lots of storage underneath the sink. Wood accent pieces on the ceiling and around the windows help the design flow through the home. 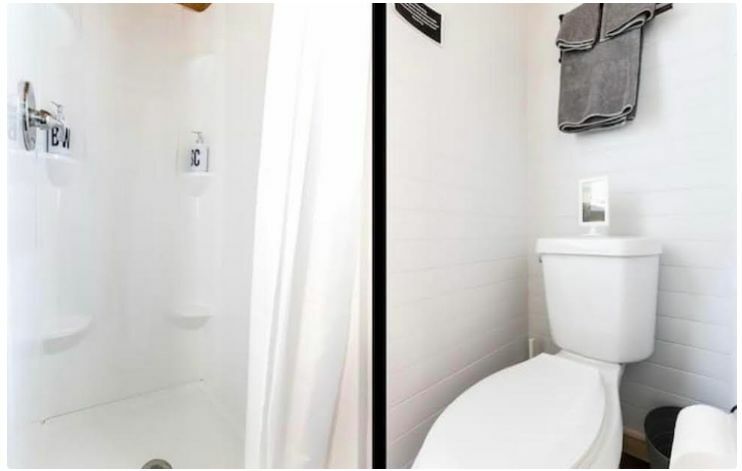 The cozy bathroom includes an eco-friendly toilet and comfortable shower. The home also has a new water heater and window air conditioning unit. 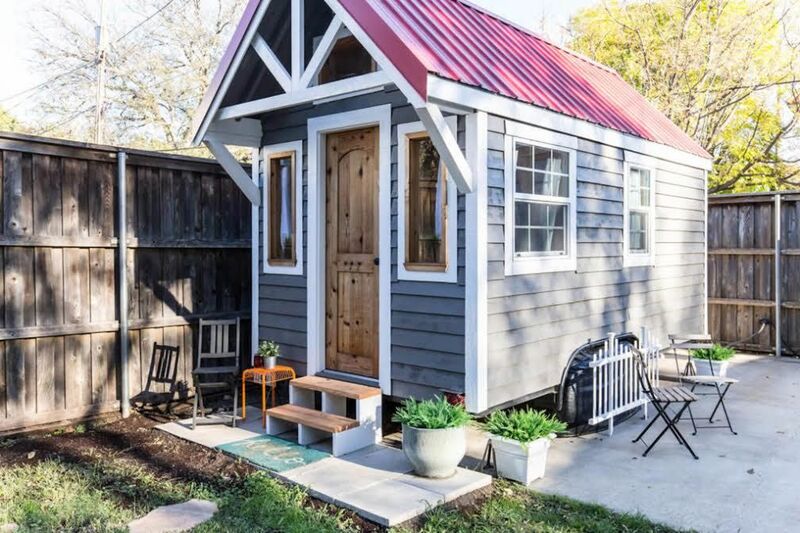 Do you think you could live in an 180 square-foot home? 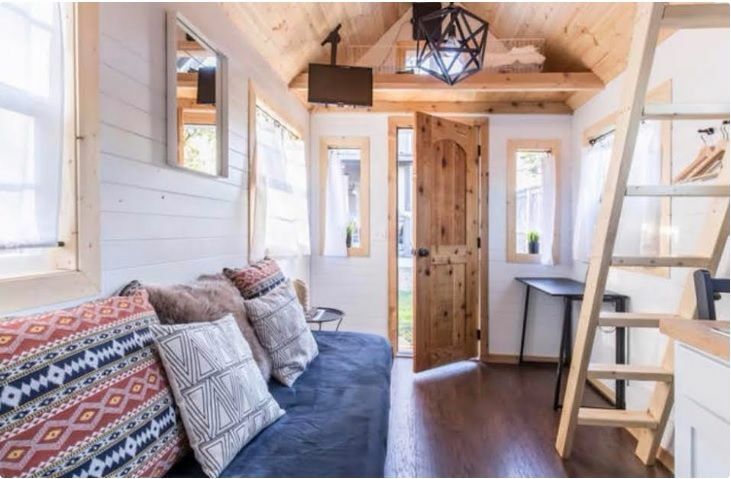 If you love tiny homes, make sure to share this charming cottage with your friends on Facebook. 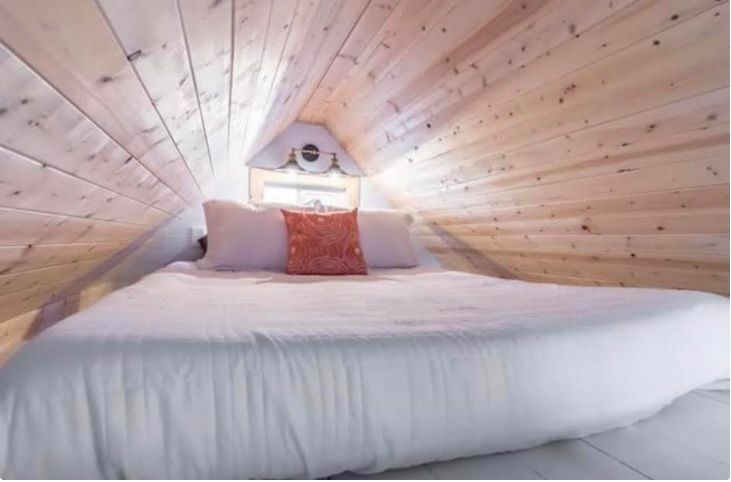 Visit Tiny House Finder for the full listing.